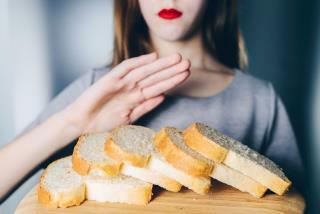 (Newser) – A vaccine in the works could vanquish the fear of bread among the 2 to 3 million Americans suffering from celiac disease. Entering its second phase of testing, immunotherapy Nexvax2 from ImmusanT Inc. promises to help build resistance to gluten, a protein found in wheat, barley, rye, and hair and skin products that triggers a harmful reaction in the small intestines of those with a sensitivity, reports Cox Media. Those taking the vaccine would continue to eat a gluten-free diet as they build up their defenses, per Beyond Celiac. But if all goes according to plan, the patients' immune systems would eventually be "reprogrammed" to tolerate gluten, per the Sydney Morning Herald. There is a reason that bread is called the staff of life. Wait until those anti-vaxxer nutjobs catch wind of this.